Enables disables the Bluetooth function. 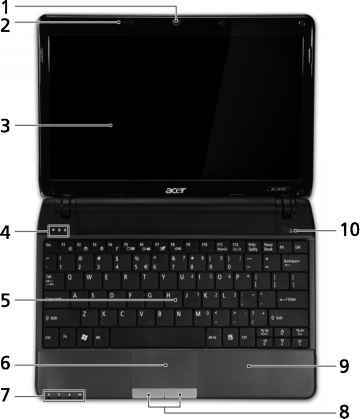 Enables disables the 3G Wireless LAN function. 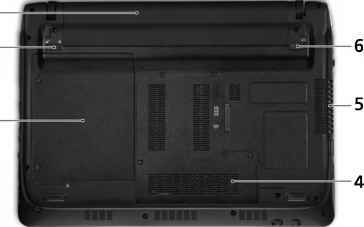 Left and right speakers deliver stereo audio output. 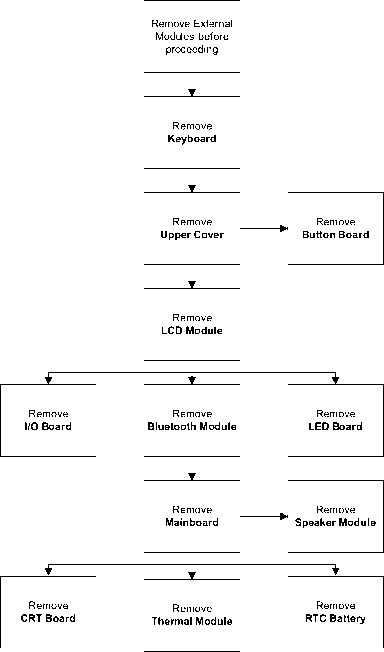 Connects to a display device (e.g. 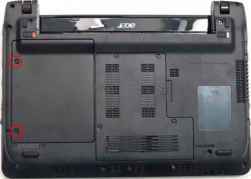 external, LCD monitor, LCD projector). Enable the computer to stay cool, even after prolonged use. Supports high definition digital video connections. Connects to USB 2.0 devices (e.g., USB mouse, USB camera). Slide the DIMM module into the connector and press down till the locking springs click into place. 2. 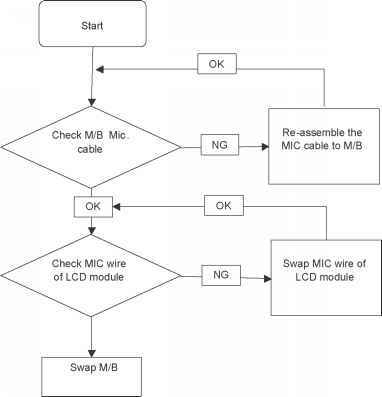 Repeat the process for the second DIMM module 2. 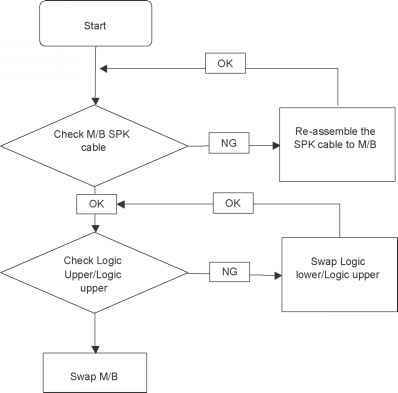 Repeat the process for the second DIMM module 3. Place the DIMM module door down corner first. 3. Place the DIMM module door down corner first. Place the LCD module hinges into position on the lower case. 3. Reconnect the LCD module connector. 4. 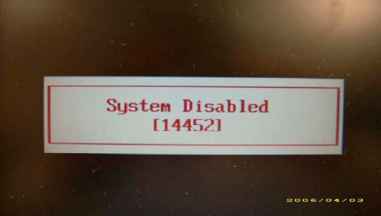 Press the adhesive plastic tape of the LCD module connector down firmly. 5. Relay the WLAN and 3M module cables around and through the lower case. 5. Relay the WLAN and 3M module cables around and through the lower case. Connect the Bluetooth module cable to the Bluetooth module. 2. 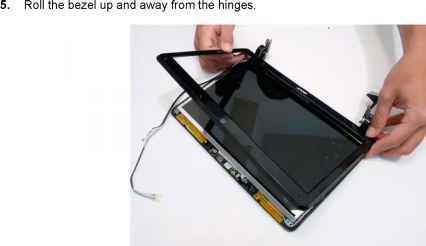 Apply adhesive and place the Bluetooth module into place pressing down firmly. 3. Connect the Bluetooth module cable to the main board. 1. 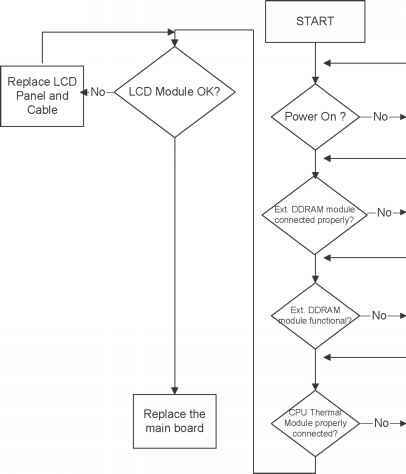 Connect the LED board FCC to the mainboard. 2. Place the LED board into place ensuring the slide switches on the front are properly aligned in the lower cover slots. 4. Connect the LED board FCC to LED board. 4. Connect the LED board FCC to LED board. 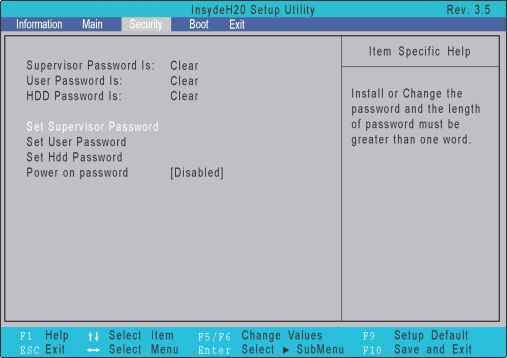 Discharging the CMOS clears all user settings. 1. Disassemble the notebook and take out the Mainboard. See Removing the Mainboard on page 71. 2. 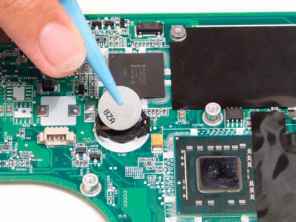 Remove the RTC battery. See Removing the RTC Battery on page 75. 3. Turn the mainboard over and short the G2 pad. 3. Turn the mainboard over and short the G2 pad. 4. Reconnect the RTC battery and reassemble the unit. 4. Reconnect the RTC battery and reassemble the unit.